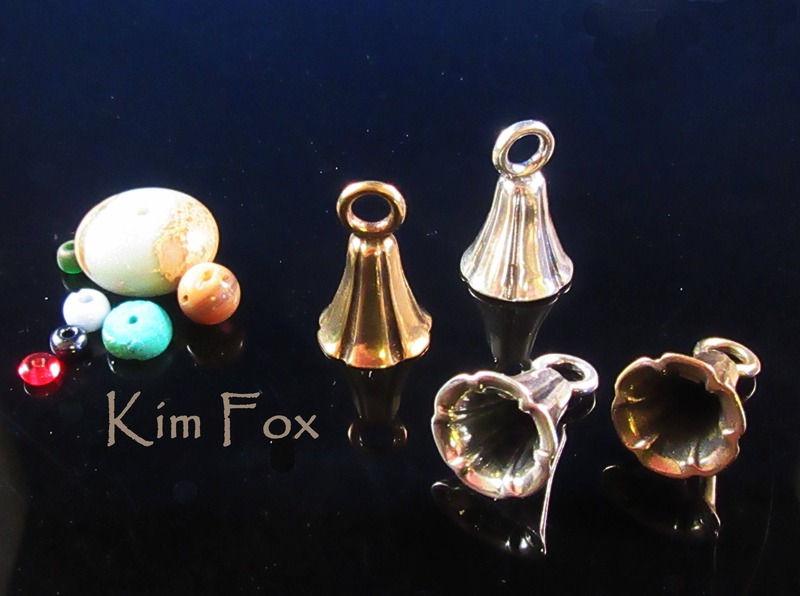 The beautiful bell shaped cones with large loop are perfect for attaching leather, cord, chain, kumihimo, chain maille, strung beads to other parts of jewelry. I also think they would make beautiful earrings. 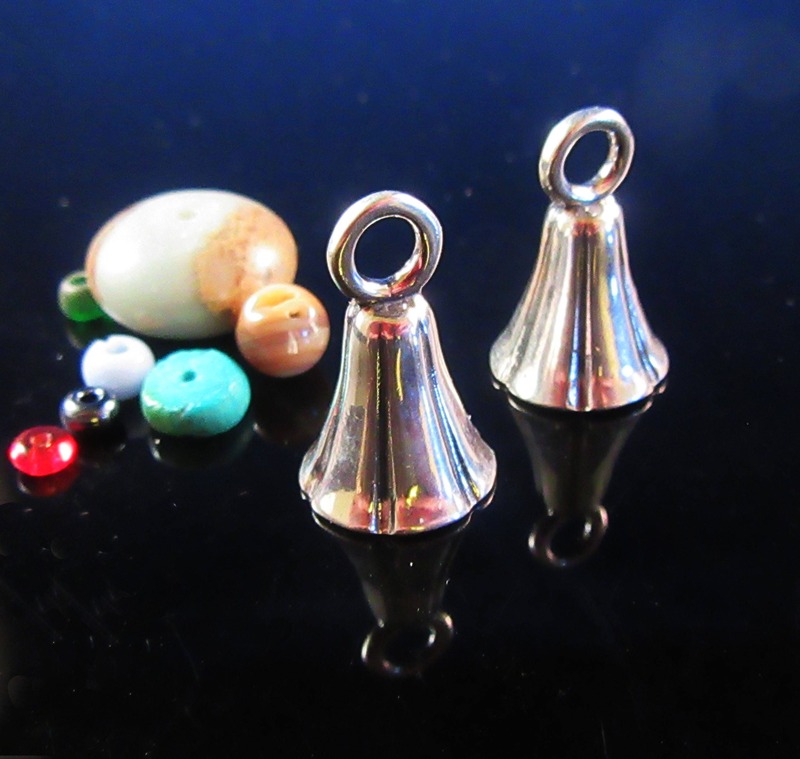 22mm or a little less than an inch from top of the loop to the bottom of the bell with a 11mm or little less than a half of an inch opening they are generous sized. 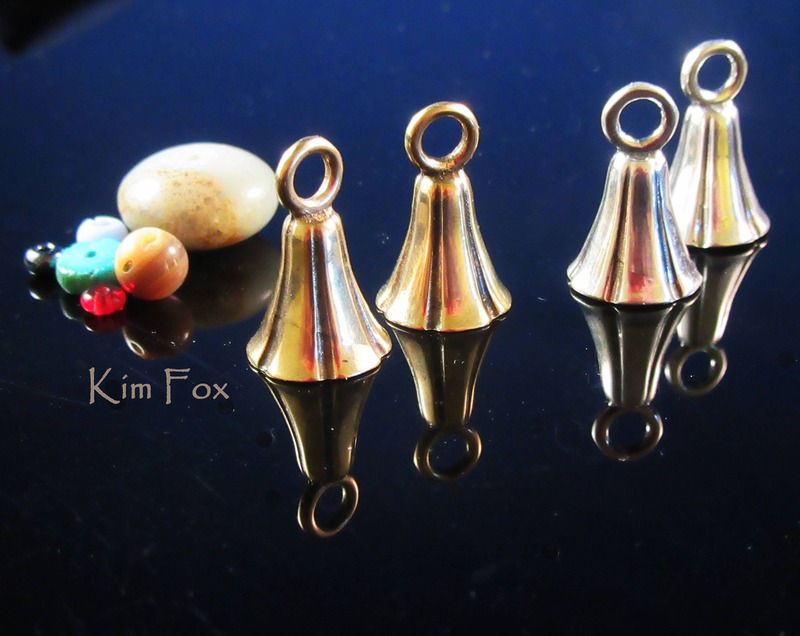 Glue in kumihimo, bead crochet, a bead or pearl. Your imagination can to wild with these. 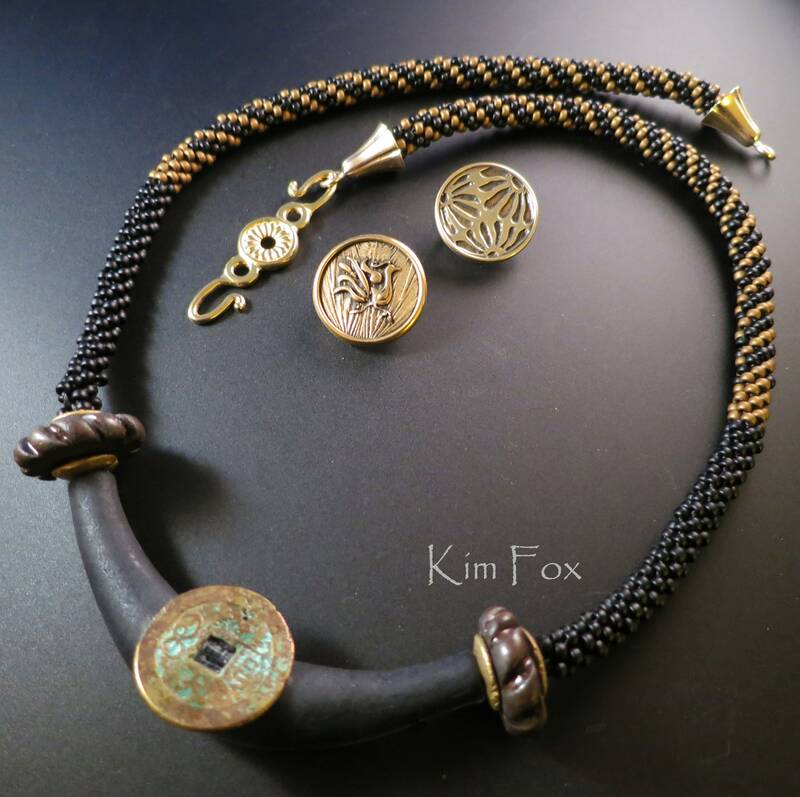 They are designed to work with our Loop Clasps as well.